The biennial African Cup of Nations serves to see who qualifies for the coming World Cup or Olympic Games depending on the year. This years African Cup of Nations was originally scheduled to begin in Nairobi, Kenya today, 26th September. Sadly due to ongoing unrest in Egypt both their mens and ladies teams had to withdraw. A week later and our neighbours Zimbabwe and Namibia also withdrew due to funding difficulties. Those three withdrawals along with the likes of Uganda, Nigeria and other frequent participants not entering we have been left with three teams in the mens division and four in the ladies. The SA Men's and Ladies teams to participate in the 2013 African Cup of Nations. SA Women: Sanani Mangisa, Hanli Hattingh, Lenise Marais (co-capt), Marcelle Keet (co-capt), Lisa Deetlefs, Illse Davids, Celia Evans, Shelley Russell, Kaila Flemming, Quanita Bobbs, Sulette Damons, Christine Roos, Jade Mayne, Bernie Coston, Tanya Britz, Lilian du Plessis, Izelle Lategan, Kelly Madsen. 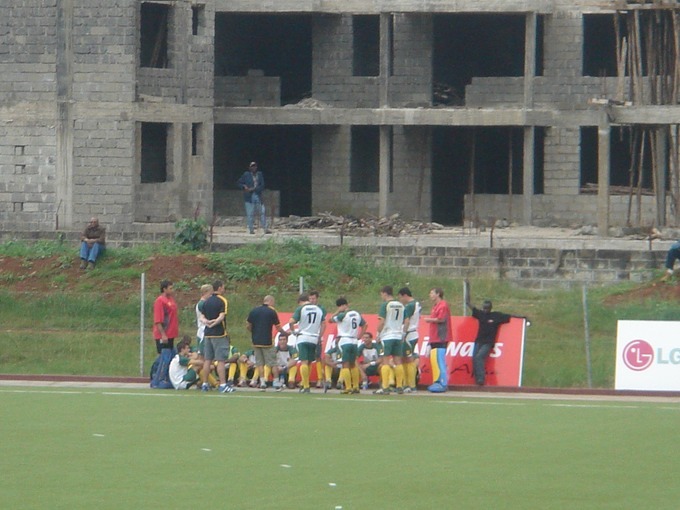 However the tournament was yesterday postponed for a second time as the players and officials safety could not be guaranteed by Kenyan Hockey officials. The recent horrific terrorist attacks at a popular shopping mall in Nairobi which saw hundreds of people injured and many killed meant it was just to risky to travel to Nairobi. We now have to wait for Kenyan Hockey, African Hockey and the FIH to agree on a new date when the tournament can take place. It is also still uncertain whether it will remain in Kenya. It is a huge set back for our team as the World Cup which begins in Den Haag, The Netherlands on 31 May 2014. Ideally we would have won qualification and started planning our road to the World Cup. Most other nations have already begun squad training for this event. You may ask why we don't start training ourselves, well the simple answer is we haven't got the funds to do so. Qualification for the World Cup means we receive added media attention and the increased chance of landing a sponsor. The question remains if the teams who withdrew will now be allowed to re-enter the competition as the dates have altered and possibly the venue? I wonder if there are any rules governing this in the African Hockey manual? The fact remains that African Hockey is not in a good way if we look at the turn out for this years competition. 4 out of 17 member countries is not good. It may appear great for South Africa as qualification is far easier but this has a greater impact on world hockey. For a sport to be given a place at the Olympics Games and Commonwealth Games it needs to meet certain criteria. I must admit I don't know what all those criteria are but one of them certainly states that the sport needs to be widely practiced around the world. The Olympic Games is the pinnacle for any sportsman or woman and losing hockey would be a huge blow for a sport which doesn't yet have a big enough following to draw regular media and public attention. It is clear we need to do more to grow and support the development of hockey in the African continent. Does anyone have any ideas how we can do more to help our African counterparts? 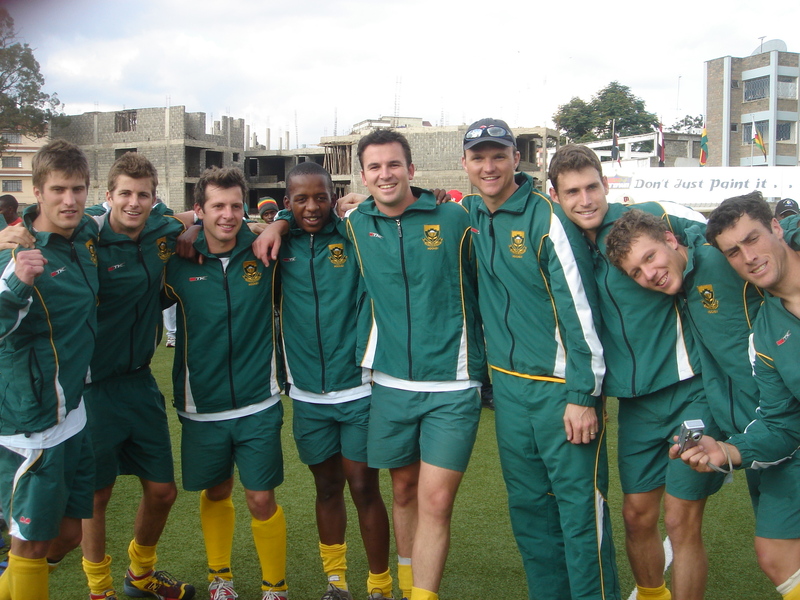 The strength of African Hockey will ultimately benefit all of us hockey players! I will keep you updated of any news of when and where the revised African Cup of Nations will be.